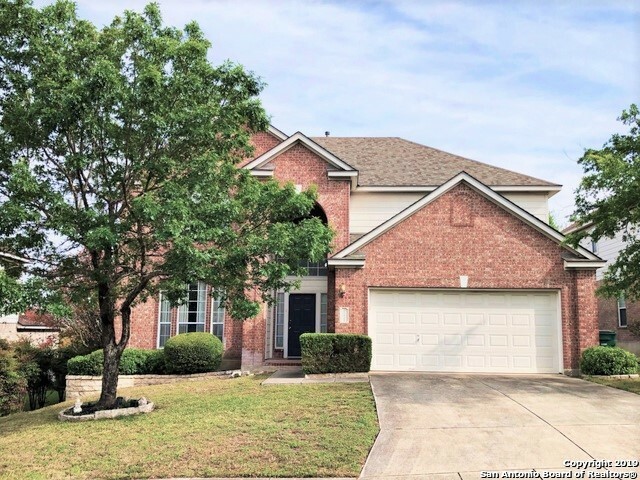 All VILLAGE AT ENCINO PARK homes currently listed for sale in San Antonio as of 04/24/2019 are shown below. You can change the search criteria at any time by pressing the 'Change Search' button below. "Stunning Two Story In Gated Village at Encino Park. This 4br 3.5bth with spacious Master Dwn and Game Room up is ready for you! An open floorplan welcomes you with granite counter tops in kitchen with island & decorative backsplash. Bright and inviting family room with fireplace. Study could be used as formal dinning. Mstr bath feat separate tub and shower, dual vanities and walk-in closet.Secondary bdrm and two full baths are up. Spacious back yard with unlimited possibles. New Roof in 1/2019"
"ROOF REPLACED 04/19/19.This beautiful one-story home is located in a gated community. Home features: 3 bedrooms, 2 baths, 2 eating areas and 1 living space; island kitchen, corian kitchen counter tops, glass-top range, sprinkler system, fireplace, open floor plan, high ceilings, and amazing landscaping. Within walking distance to elementary and middle schools. It's a beautiful home!!!"